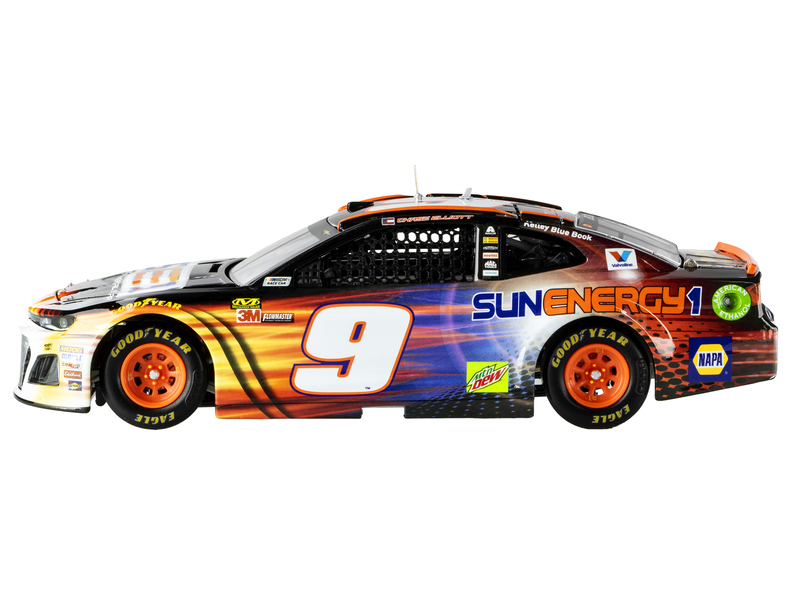 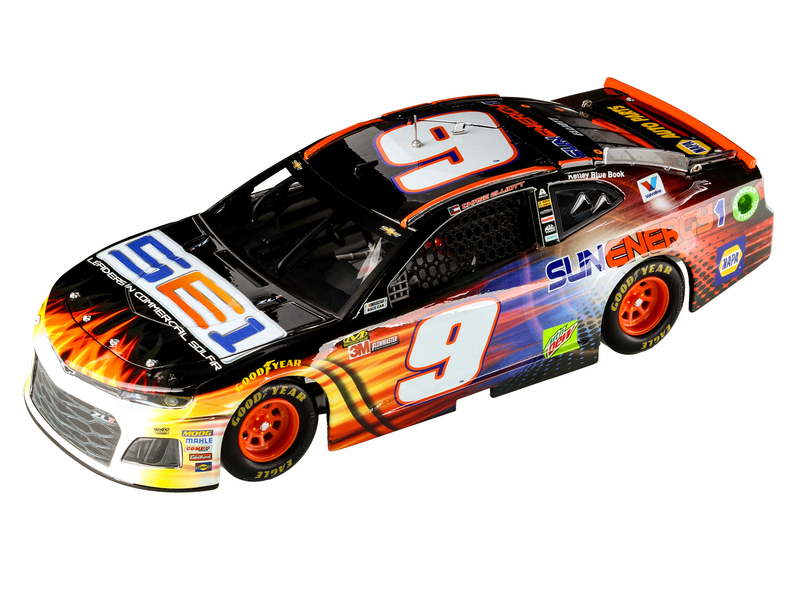 SunEnergy1 is one of the top five solar developers in the United States and in 2018, this cutting-edge company will again light up Chase Elliott’s Chevrolet.Elliott will pilot the sporty and bright No. 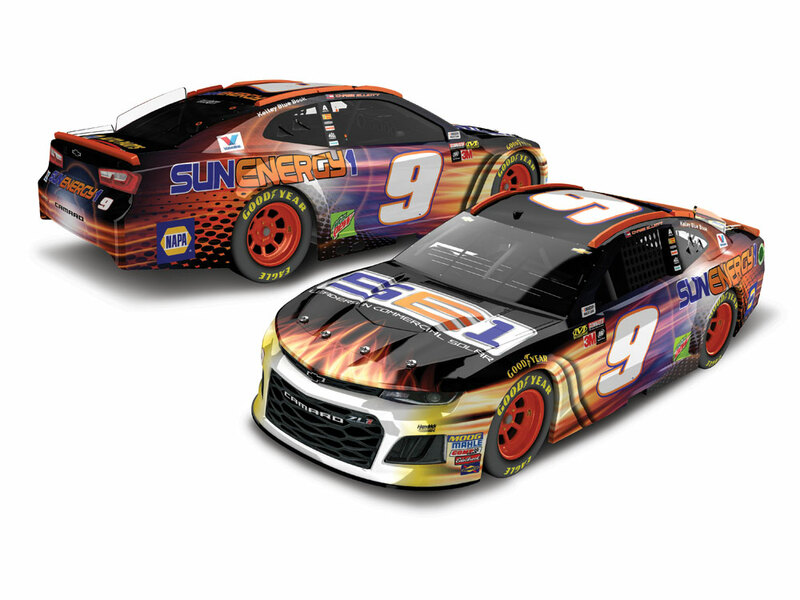 9 SunEnergy1 Chevrolet Camaro ZL1 for multiple races next season. 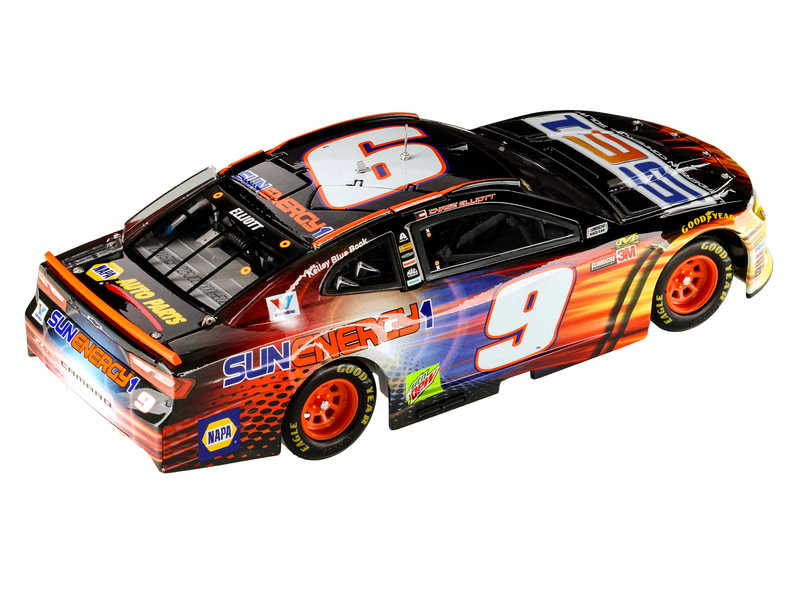 Accented with fluorescent orange paint and matching rims, this stock car will be the center of attention when it hits the track.The die-cast is also bound to take center stage in any fan’s collection too.  Built on Lionel Racing’s all-new Camaro ZL1 tooling, the 1:24-scale RCCA ELITE diecast.